The South San Francisco Cultural Arts Commission presents a multi-media, juried art show featuring work inspired by the traditions of Dia De Los Muertos (Day of the Dead), a joyful celebration honoring the life of deceased family members and friends. 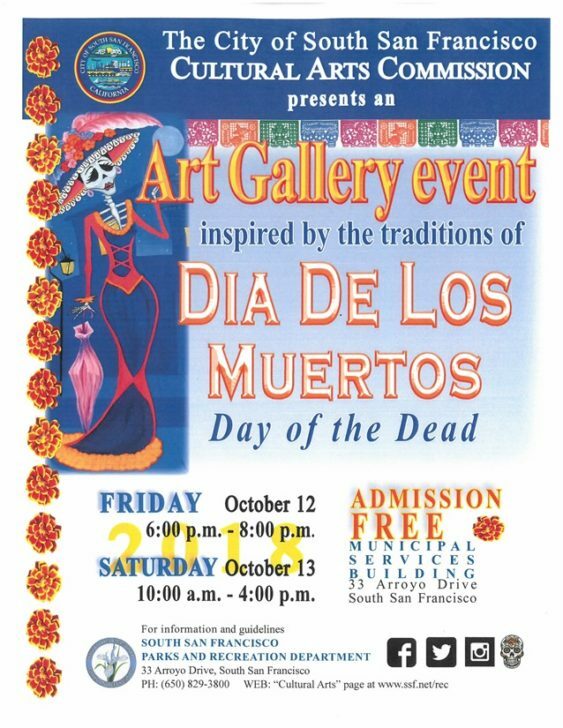 This free, family friendly event also features special exhibits by the SSF Childcare Division, and performing arts presentations by Pan de Vida Living Art Ensemble, SSF Recreation Department Mariachi and Ballet Folklorico students and Day of the Dead craft activities, Snap a photo with one of the “Catrinas” representing past notable cultural and historical figures. Also scheduled is an exciting performance by the SSF Recreation mariachi music students. 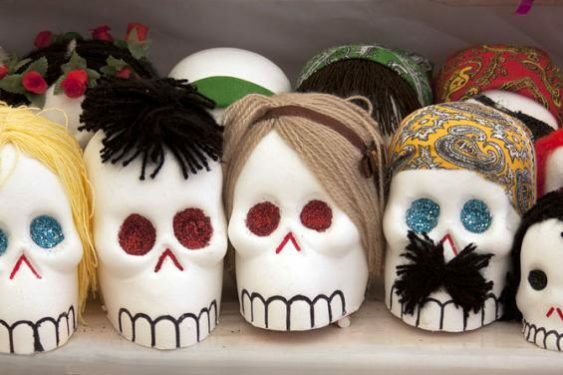 It is a joyful celebration, expressed in colorful and vibrant crafts, arts including mask making and sugar skull creating with Eva Portillo, the sugar skull expert. Plus, music, dance, parades and the preparation of traditional cuisine at family gatherings. The juried visual art exhibit features two dimensional and three dimensional works, including painting, graphics, photography, sculpture, quilts and specialty crafts such as 2018 SSF Day of the Dead Art Show FLYERdolls, mini shrines, papel picado (hand cut paper). In addition, there will be a special art exhibit by the Recreation Department Childcare Division featuring hundreds of children’s artworks.